Salak Mountain is a volcano located on the West Java, Indonesia. This mountain has several peaks, including Peak Salak Salak I and II. 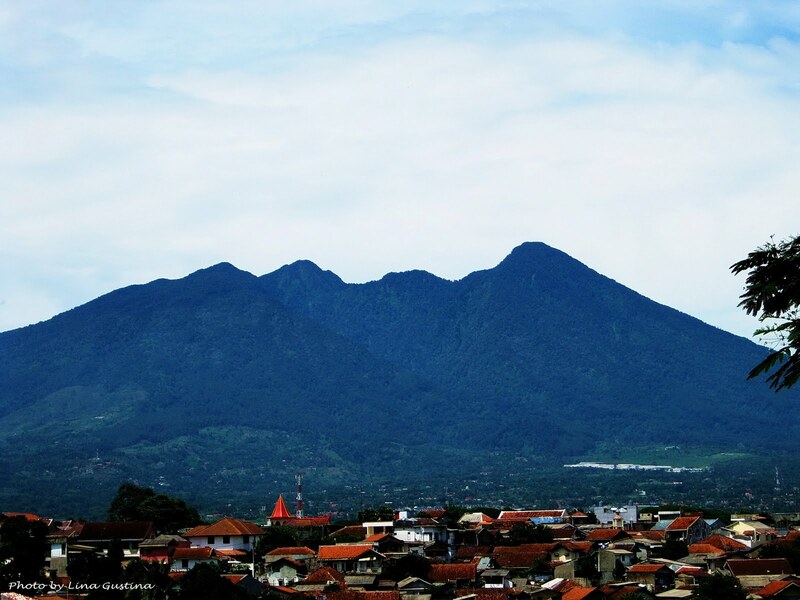 Administratively, Mount Salak is included Sukabumi and Bogor area. If the weather is bright, this mountain can be seen clearly from my city (Bogor, West Java). The clear view is a seldom thing, as Salak Mountain peaks are more often covered by clouds. We both have a volcano in our Skywatch post! But I think yours is much bigger than mine. The city is nestled at the foot of the mountain. Lovely. Is the volcano an active one? I hope that volcano is dormant. Great shot! I too am hoping that volcano is dormant. It looks close to a crowded city. beautiful photo! I love the way the peaks undulate across the horizon. Beautiful shot of the mountain! Wonderful shot of the volcano. Great that the clouds stayed away. Wow, this is a beautiful capture, Lina! Another beautiful view of Indonesia, green & cold. Nice catch here of a mountain. Green is beautiful.